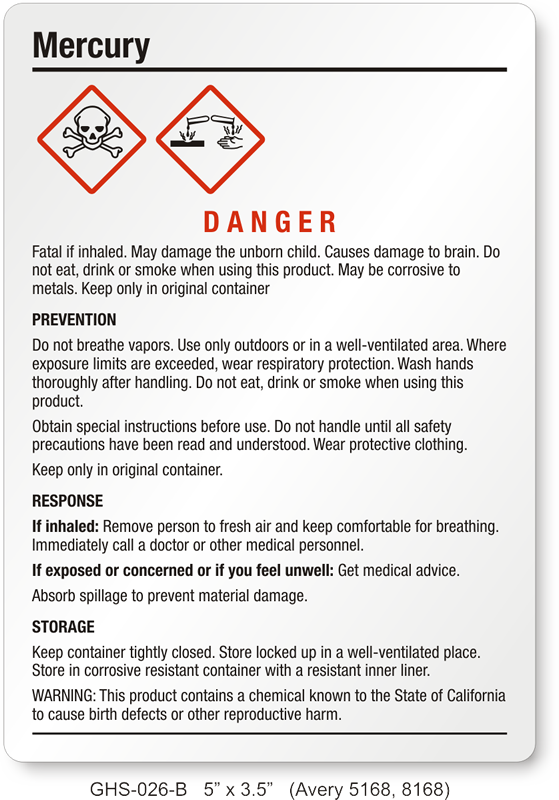 Find fully compliant labels to warn everyone against hazards posed by mercury in the vicinity. Our gallery consists of NFPA, ANSI, and GHS designs. Take your pick! • Mercury labels have hazard identification system that is widely understood by workers, removing any linguistic barrier. • Most designs are free to download. Download a free PDF and print it on a personal inkjet or laser printer for immediate use. 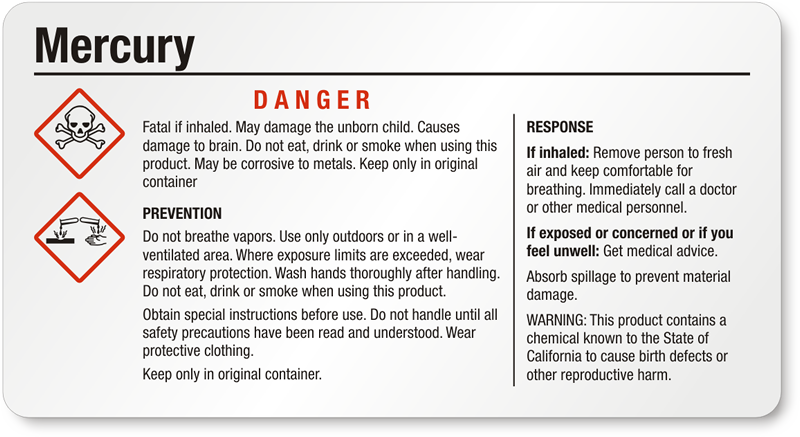 Mercury: Fatal if inhaled. 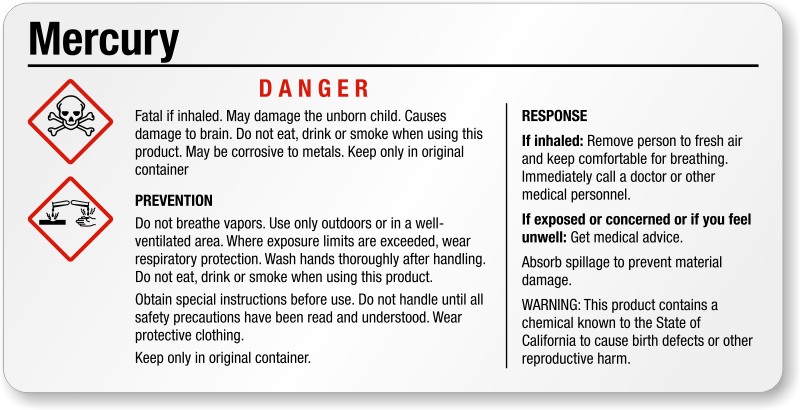 May damage the unborn child. Causes damage to brain. 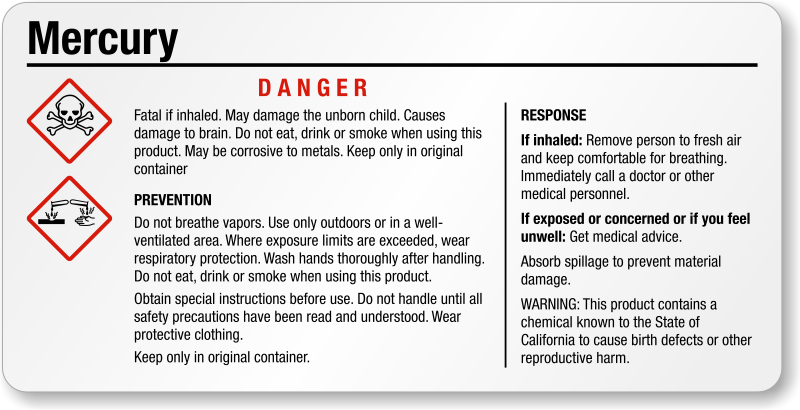 Do not eat, drink or smoke when using this product. 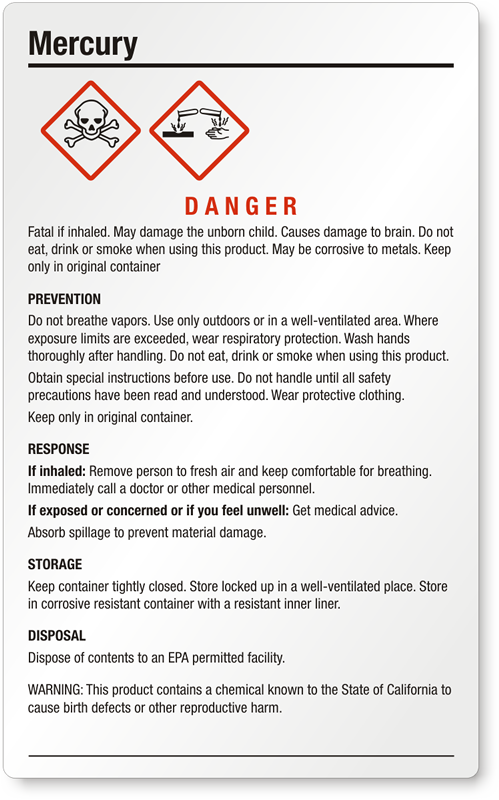 May be corrosive to metals keep only in original container.